I tried something new on my nails this time! 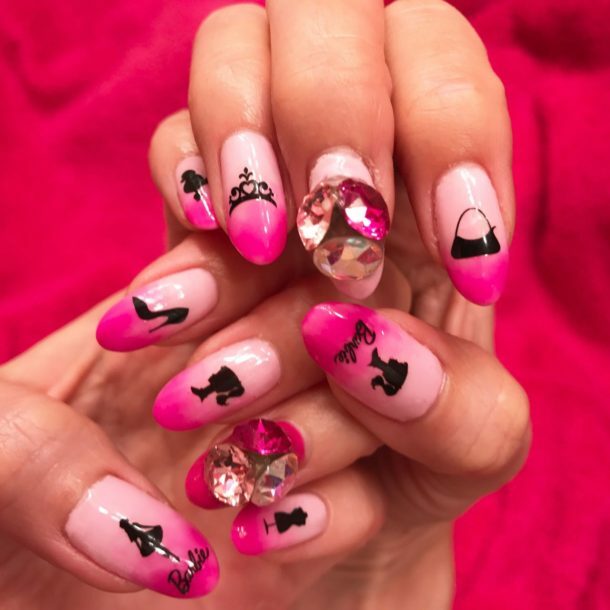 Huh, you might think “Well, they are just PINK ombre with Barbie stickers. What’s special about them?”, right??? Well, I tried new kind of GLOW in the dark powder! 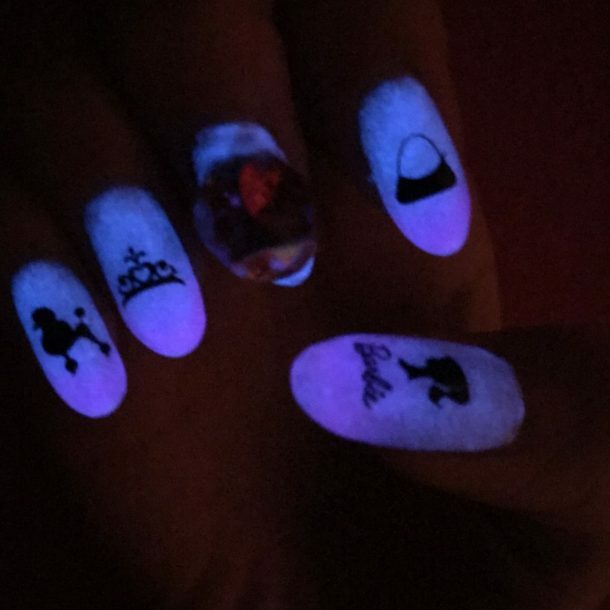 They look incredibly awesome when you turn off the light! COOOOOOOOLLLLLLL, right!? Since I used two colors of powder, they still look ombre in the dark as well. They look brighter in a person actually. 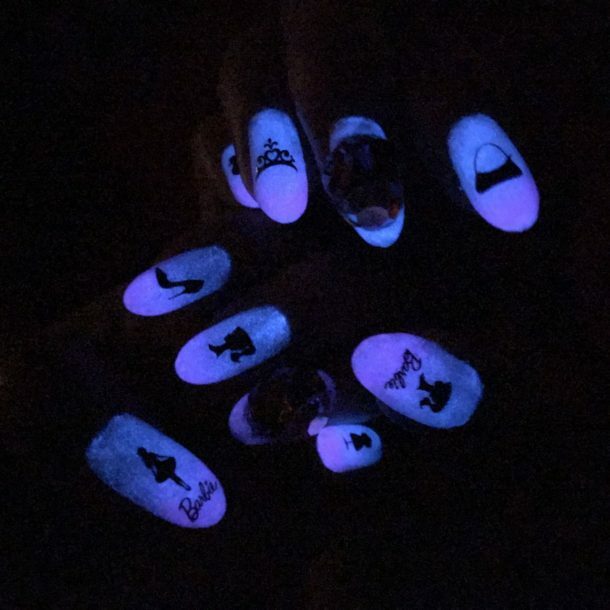 The glowing doesn’t last that long unless you stay under the black light or something, but they must be the coolest nail design for night club or music events! 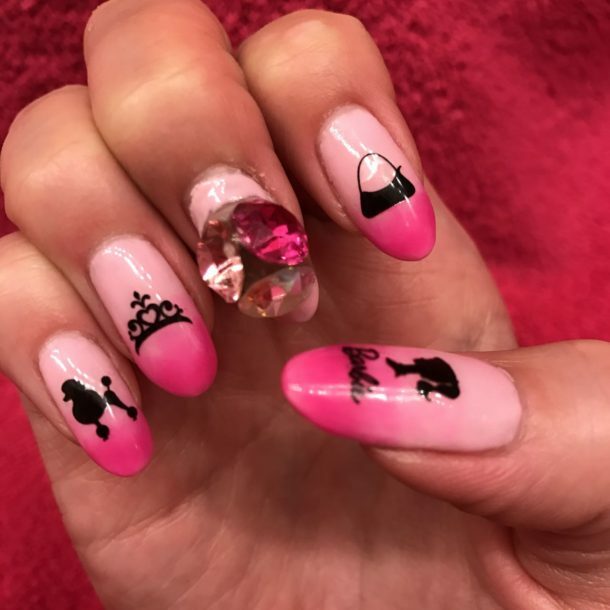 I also love how all Barbie motif silhouette pop up. OBSESSED!